An effective intervention for autistic children through both speech and non-verbal communication. This form of Applied Behavior Analysis (ABA), works well with children with minimal or no speech abilities. 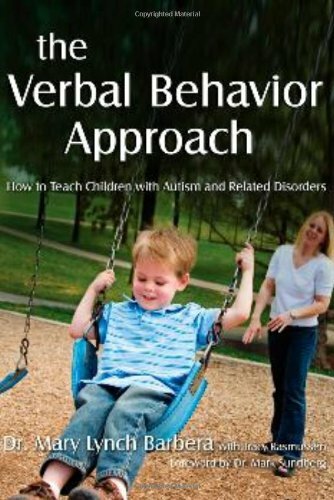 The author, Mary Lynch Barbera, draws on her own experiences as a Board Certified Behavior Analyst and also as a parent of a child with autism to explain VB and how to use it. Guide provides information about how to help children develop better language and speaking skills, and also explains how to teach non-vocal children to use sign language. One chapter focuses on ways to reduce problem behavior. Includes information on teaching toileting and other important self-help skills, that would benefit any child.